Cambric or chambray is a lightweight cotton cloth used as fabric for lace and needlework. Cambric, also known as batiste in a large part of the world, was first used in Cambrai, France, as early as 1595. It is possibly named after Baptiste of Cambrai. It is a closely woven, firm fabric with a slight glossy surface produced by calendaring. Modern cambric is made from Egyptian or American cotton and sometimes flax. 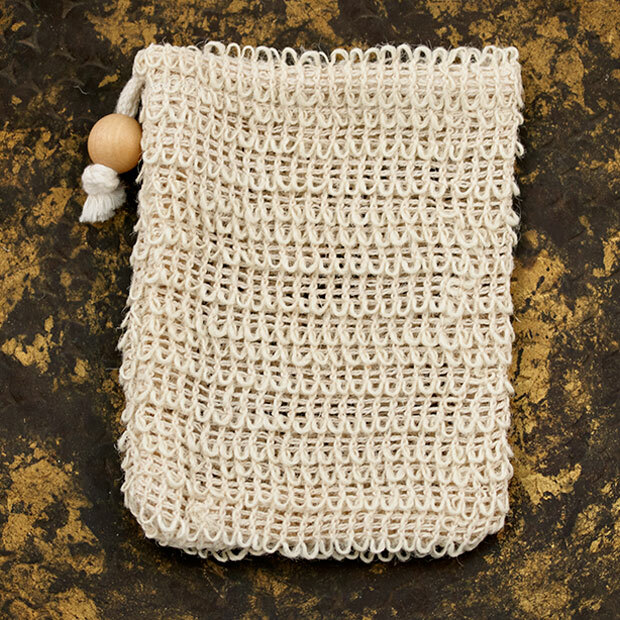 This soap pouch is great. It's soft and well made. I've been using this with my opas soaps everyday for my shower. I love that it's all natural and soft yet perfect for gently exfoliating!